The Royal Dublin Society, also known as the RDS is 42-acre site and is known for holding some of Dublin’s biggest events. The RDS holds exhibitions, fairs, shows and sporting events, such as the Dublin Horse Show, EPRC Champions Cup and Guinness PRO14 Leinster matches. It is also welcomed some iconic music stars such as Justin Bieber, Justin Timberlake, Jay-Z and Bruce Springsteen. There are a few different ways to get from Hotel 7 to the RDS. The best being, walking to Tara Street Train Station and getting the Dart to Sandymount Train Station which will take roughly 20 minutes. From there it is only a 10-minute walk to the RDS. You can also get the 7/7a bus from around the corner from Hotel 7 to the British Embassy and from there it is only a 5-minute walk. 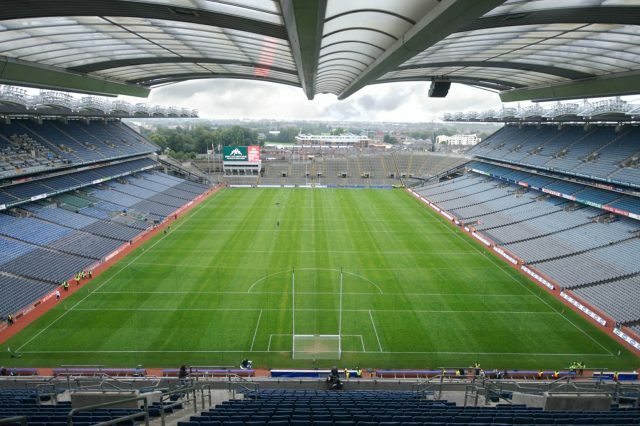 Croke Park Stadium is one of the biggest stadiums in Europe seating over 82,000 people. It holds many different events from tradeshows, to sports, to music concerts. The RDS has welcomed some of the biggest names in music such as Beyoncé, Ed Sheeran, One Direction and most recently Coldplay. Croke park is the home of Gaelic Games and headquarters to the GAA (Gaelic Athletic Association), but it also hosts many international sports and events such as the opening/closing ceremony of the Special Olympics in 2003. If you want to gain a sense of Irish sports and its history, take a tour of the grounds and the GAA museum. Also, discover the Ericsson Skyline and for a thrill take a rooftop tour 17 stories high. Hotel 7 is conveniently located only a 10-minute walk from Croke Park making it the perfect hotel to stay in while going to an event there. The stadium used to be known as Lansdowne Road and was worldwide the oldest rugby union group before it closed in 2006. Since reopening in 2010, it has been known as the Aviva Stadium and seats roughly 11,000 people. The Aviva stadium is also known for having some big music stars perform such as Lady Gaga, Michael Bublé and Madonna. Aviva Stadium is home to the Ireland’s National rugby team and the Irish home games are played here. The 2018 Irish 6 Nations matches will be played in the Aviva Stadium. To learn about the stadiums vast history, you can take a tour and you will get to see the players dressing rooms, the tunnel and so much more. Check out their website to book a tour. Hotel 7 is located only 20 minutes away from the Aviva Stadium. We recommend you walk to Tara Street Station and get the Dart to Lansdowne Train Station which will drop you right outside the Aviva Stadium. Alternatively, you can take the Dublin Bus either the number 1 or 4 which will take around 20 minutes as well. From the bus stop it is only a 10-minute walk to the Aviva Stadium. Hotel 7 is an ideal location, located close to many bus stops and train stations and is perfect for your stay.